192,000 jobs were created for the month of February, bringing the unemployment rate down to 8.9%. This, as always, looks fantastic on the surface, but we'll dig a little deeper. The most important detail for the monthly jobs report is how it is counted. 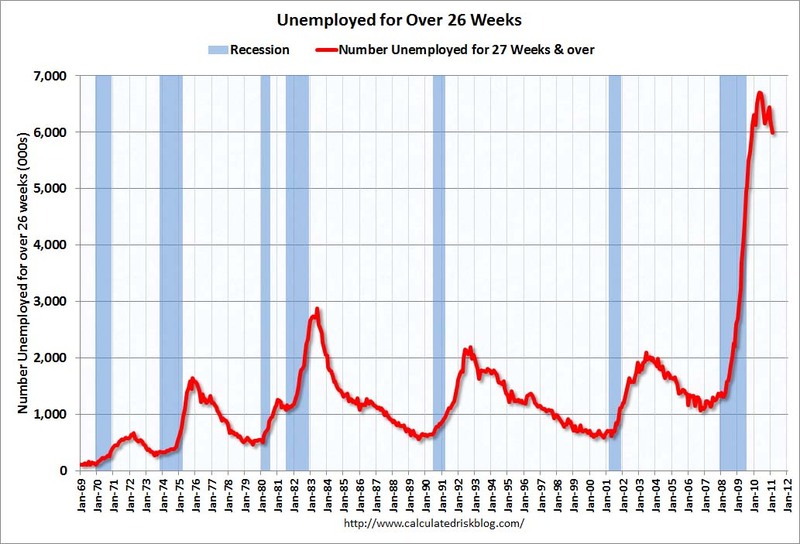 The government does not count people that have given up looking for jobs as unemployed. 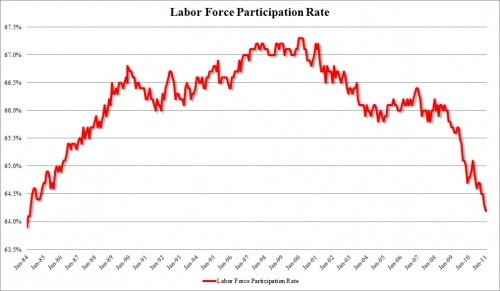 The following chart measures this showing the labor participation rate. It is dropping precipitously, showing the number of people "giving up." 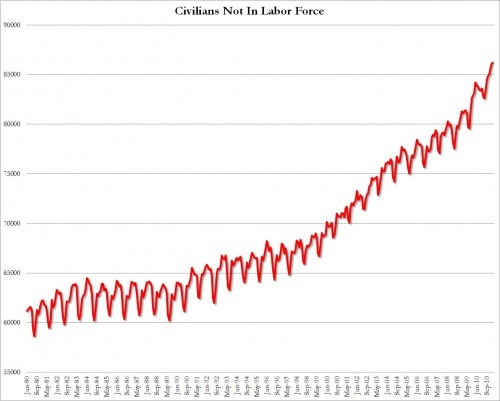 Another way to see this trend is the civilians not in the labor force chart shown below skyrocketing. From October to February, 700,000 Americans have "left" the labor force. 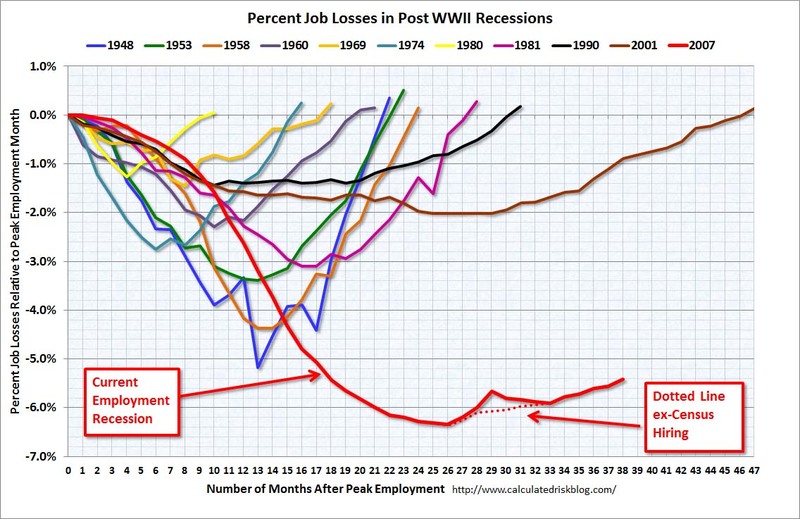 If these Americans were factored back in, the unemployment rate would be at 12% today. 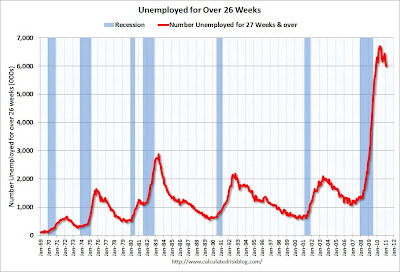 The following chart shows the number of unemployed for longer than 26 weeks, the point many begin to "give up" and help the government unemployment rate down to 8.9%. 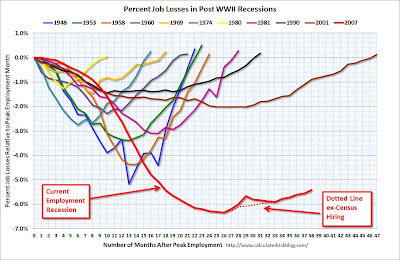 Finally, you have where our "recovery" stands in relation to all others during the past century. 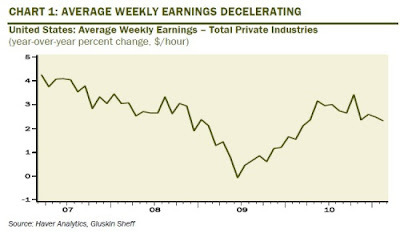 Stocks are getting hammered on the day, as precious metals are breaking out to all time records.